Learn the basics of what you'll need to get started knitting your very own. 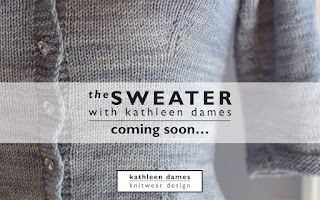 In the video Kathleen is wearing Sotherton, originally published in Jane Austen Knits, Summer 2012. Pattern available here. The trailer is up now, my friends! 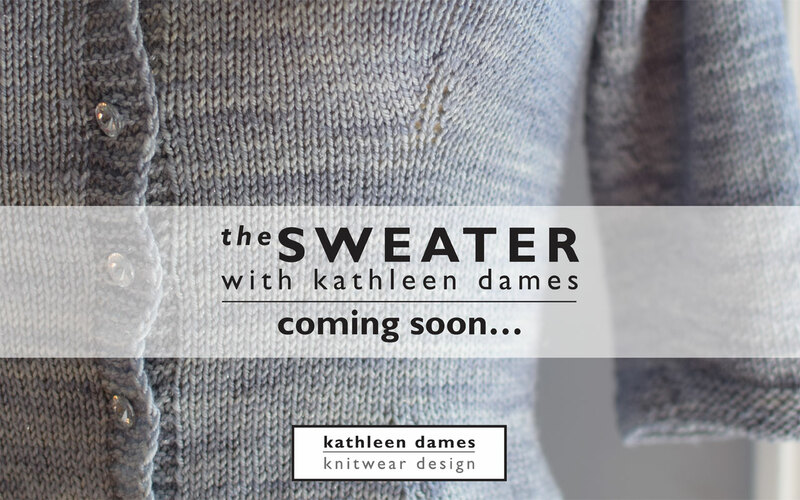 Be sure to subscribe to my YouTube channel, so you won't miss an episode of The Sweater with Kathleen Dames. Newsletter sign-up and Episode Zero go live on 21 December 2015 - the Winter Solstice. So, yes! I am planning on producing a podcast called The Sweater with Kathleen Dames. Eeeeee! It will be a video podcast on YouTube (you can subscribe to my channel from that link) with an iTunes audio version a little down the line (when I wrestle that technology to the ground). Pretty soon you will see a link to it in the top navigation on the site (actually, it's there now but will be wrestled/prettified and occupied with more info soon). There will be a newsletter that will not only deliver a free copy of the pattern (available during the season), but that will also deliver direct YouTube links to you once episodes go live. (More technology to wrestle!) 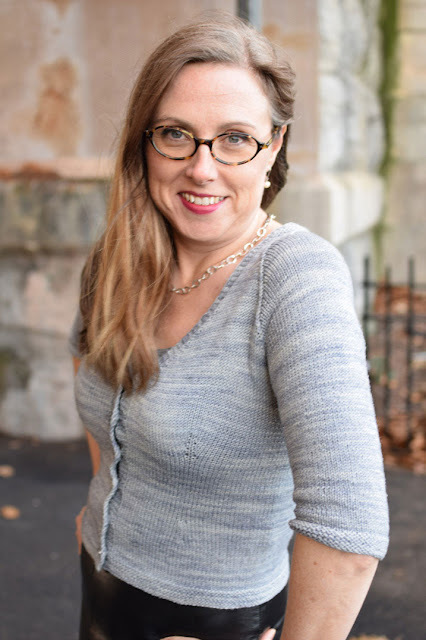 After the season is finished, the pattern will be available to purchase in my Ravelry shop (and subscribers will receive a coupon for a substantial discount off that version of the pattern should you wish to store it in your Ravelry library). And if you enjoy the first season, I'll produce more seasons going forward with more patterns (pullovers! cables! lace!). 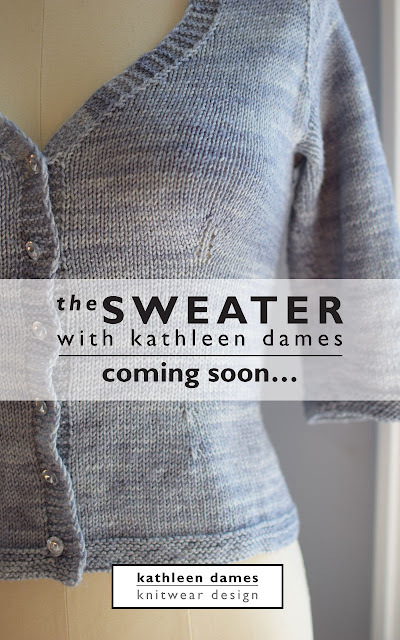 There will be 12 episodes that will cover all aspects of knitting my Solstice Cardi pattern (coming soon!) from measuring your bodacious self to binding off the neck stitches and everything in-between. 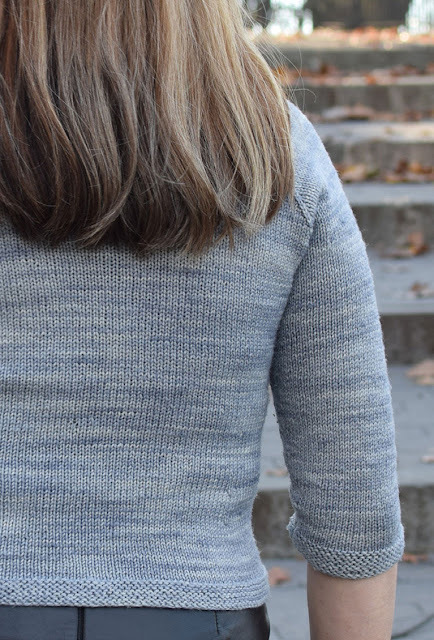 Even if you choose not to knit the Solstice Cardi, you will find lots of helpful tips and tricks to apply to all your knitting projects (especially largely-seamless bottom-up sweaters). I will knit a new version of the pattern along with you, and I'm getting the yarn sorted for that as I type. I'm also thinking of including one or two live chat sessions on YouTube if you are interested in that. And I will broadcast my recording the episodes on Periscope (but not all the editing), so if you want to watch in advance, you'll be able to do that. I hope to bring episodes in around 25 minutes each, though I expect recording sessions to go longer than that. 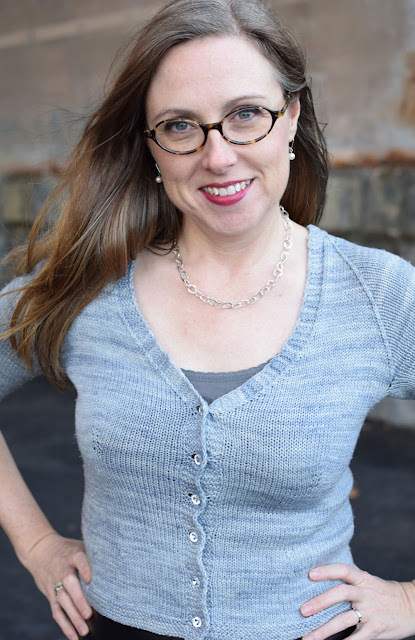 Next Monday I will release Episode Zero, which will give you a little intro to what we are going to do and give you time to finish your obligation knitting and get through the holidays before we begin. The first actual episode will go live (tentatively) on January 8th, which will have us wrapping up just in time for the Vernal Equinox. So, what do you think? Let me know in the comments below. 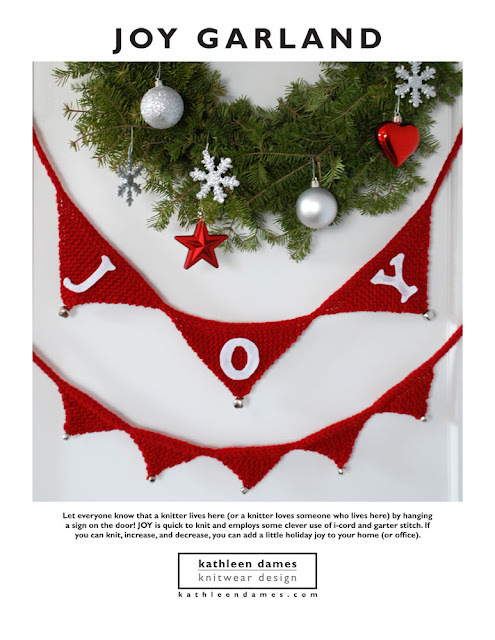 Join me for some fun, clever, easy knitting with the JOY garland this holiday season! 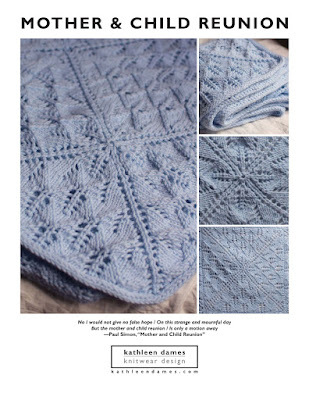 Follow this link to get your copy of the pattern for 50% off. Or use code joy2015 in my Ravelry store. I plan to knit a long garland as a sort of Advent project for our tree in sock yarn, but you can easily follow the pattern to knit yours with worsted weight yarn for a quick holiday door decoration. P.S. I shared this with my newsletter yesterday, so sign up here to get the good stuff first! In yesterday morning's Periscope broadcast I mentioned some resources I turn to when writing and grading patterns. As I mentioned, I usually follow Knitty standards, as I like how wide-ranging they are (seven sizes from XS to 3X in 4-inch increments). 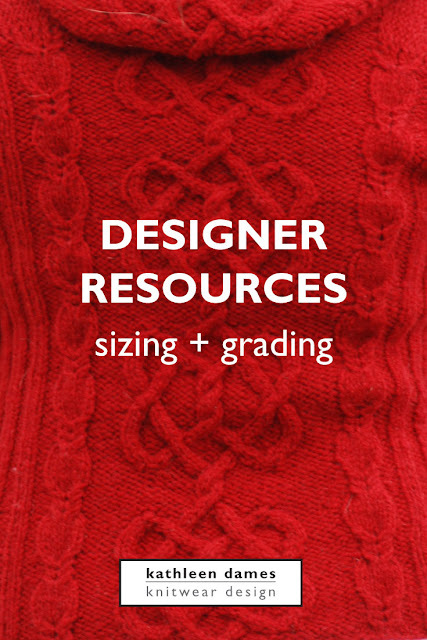 Most magazines I've worked with publish patterns in five sizes, but I do prefer seven -- it's not too much more work while giving more knitters the opportunity to knit a pattern from the instructions. I love all the measurements included in Ysolda's chart -- it's very thorough, although it does not contain a key number for my pattern writing: sleeve length from wrist to underarm. Since I write patterns from cuff and hem upwards to join body and sleeves together and work yokes seamlessly, this number is of more use to me than the given sleeve length measurement (from wrist to shoulder). Happily I can find that number in the CYCA standards. As for the books I mention above, Ann Budd's book is a great starting point, even if I find the amount of ease included to be much larger than I generally design for. The proportions are helpful, though, as are the impressive spectrum of pattern grading from baby to large adult man. And EZ's books are so helpful in thinking about the body in a three-dimensional way, as well as the interconnectedness of our parts thanks to her EPS (Elizabeth's Percentage System). I couldn't do without Knitting Workshop and re-read Knitter's Almanac on a regular basis. I hope you find these helpful/interesting. Let me know in the comments if you have any other knitting design resources you turn to regularly.